Statistics on the transgender community are hard to come by — we can’t even agree on how many people in the United States are trans. We do know, however, that trans people experience significant health care disparities, particularly in the case of trans people of color. And the scant data we have suggests the incidence of disability is higher in transgender communities. But what’s it like to be trans and disabled wile navigating the health care system? Many transgender people struggle with issues like provider discrimination, harassment, and denial of care, while disabled people experience their own share of health care discrimination. In combination, this oppression in the health care system can be dangerous. Some disabled people have complex healthcare needs that are ongoing, requiring a never-ending parade of doctor’s appointments, medical testing, specialists, and wrangling with Medicaid or insurance companies. Being trans can complicate all of these things; a discriminatory Medicaid provider, for example, can make it nearly impossible to access treatment that a disabled person needs to maintain their quality of life. Robert Hunt (a pseudonym), a 30-year-old legally blind trans man living in Indiana, is acutely familiar with the effects of this amplified, dual discrimination, especially since he is also biracial. As a Medicaid recipient and medical cannabis user in a state where it’s legal to evict people for being trans and where he can be denied coverage if he fails a drug test, he’s acutely aware of how easy it could be to lose access to health care. Ignorance on the part of doctors when it comes to trans issues can pose a huge problem when he seeks access to health care; during an ER visit “that had absolutely nothing to do with transitioning at all,” he says, a doctor told him “that my breathing problems were probably because of my hormones.” He’s had trouble accessing pap smears, and has been told that his hysterectomy won’t be covered — even though his wife’s was — because he changed the name and gender marker on his paperwork. endever* corbin, a 33-year-old autistic writer and crafter who also identifies as crazy, experiences similar barriers to health care access. corbin has been navigating the mental health system through 14 years of transition. 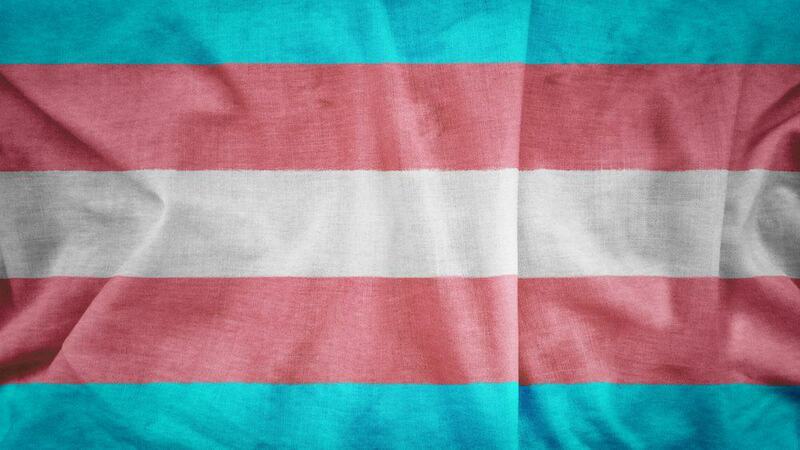 “There’s just the CONSTANT tension of like, you can find transition-related healthcare that is clueless about your disabilities, or you can find healthcare treating your disabilities that is clueless about trans identities.” corbin notes misgendering and deadnaming — using a trans person’s prior name instead of recognizing their current name, and by extension, identity — are common in some medical settings. In part, this is sometimes because trans people don’t have updated name and gender markers on insurance because of the cost, potential risk, and difficulty of changing their identity documents. This puts corbin at risk of outing, an issue for all members of the trans community but a particular problem for disabled people who may be in and out of the doctor’s office and other clinical settings frequently. Worries about mistreatment have led corbin to delay care. For corbin this has huge stakes; disablist attitudes like the belief that autism somehow invalidates trans identities because autistic people just “think” they’re trans can make it challenging for corbin to access transition services at all. corbin has been “purposely hiding my currently higher support needs especially re: being autistic (like not using AAC at appointments, etc.) out of fear they would decide that I’m not competent to consent to surgery on my own,” for example. corbin has also run afoul of Medicare guidelines on coverage for transition services; to be approved for transition care, corbin needs a recommendation letter than includes language suggesting corbin’s mental health condition is “under control.” Rates of mental illness tend to be higher in the trans community, and delayed access to transition can exacerbate those symptoms — the care corbin needs to feel better may be denied because corbin isn’t feeling better, in an unending circle of medical bureaucracy. A growing number of healthcare facilities are thinking about trans competency as part of larger cultural competency training. However, without training in disability issues as well, this increased awareness will still fall short of the trans disability community’s needs, which are unique to the health care landscape, but not that unusual when one considers the overlap between trans and disabled communities. Healthcare providers should be thinking proactively about this issue, using curricula developed by disabled trans people with health care experience who can offer the kind of comprehensive, sensitive training needed to increase understanding of trans disability issues. It should be possible for disabled trans people to walk, roll, or cane in to any emergency room or medical office and receive unprejudiced, holistic treatment. For the disability community, this means recognizing and affirming trans identities in addition to acknowledging the health disparities the trans community faces. The disability community needs to be interacting directly with trans people to learn more about their needs and how to work in solidarity with them; the trans community is large, diverse, and complex. For trans communities, disability inclusion is also vital, including promoting accessibility in trans spaces, acknowledging that members of the trans community are more likely to be disabled and to struggle with access to care, and challenging disablist rhetoric in transgender contexts. In institutional settings, gender clinics need to consider how disability may interact with trans identities and concerns — from how to coordinate inclusive medical records to how to help disabled trans people access the benefits they’re entitled to from Medicare, Medicaid, and insurance companies. And for both communities, acknowledgment of these issues must come with an awareness of things that may have amplifying effects, like race, religion, social background, and cultural origins. Failure to engage with the full spectrum of diversity in disabled and trans communities will ultimately perpetuate a sense of exclusion among those most in need of inclusion.